Many people who are interested in saving money off their shopping bills, often opt to do some buying at either at Costco or Sam's Club…and for good reason. These two are foremost names in bargain shopping and you do stand to save quite a few dollars off your purchases in either store. Nevertheless, the two do have a number of differences some of which may cause you to choose one over the other. Let’s take a look at some of the more significant ones. Costco offers customers Gold Star or Business Membership and Executive Gold Star or Executive Gold Star Business Memberships for $50 and $100 respectively. While the Business and Personal Accounts aren't really all that much different from each other, the Executive Accounts do offer significant advantages over the regular accounts. Sam's Club on the other hand offers a Business Membership, an Advantage Membership, and a Business Plus or Advantage Plus Membership, with prices ranging from $35 to $40 for the Business and Advantage Membership, and $100 for the Business Plus or Advantage Plus Membership. The Business Memberships are intended primarily for business use as you may have guessed, with Advantage Memberships offered for personal use. Both stores allow you to purchase merchandise in bulk, which will of course result in significant savings for you. Costco unfortunately does not sell their store merchandise online, although they do offer a decent selection of products that are only available online. Sam's Club for its part offers customers what it calls “Click-and-Pull” shopping, which basically let's you purchase your items online from whichever Sam's Club store you wish and picking them up there. While both stores do offer a similarly wide array of different products, Sam's Club seems to be just a little bit more focused on providing for the needs of business owners. 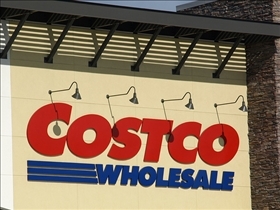 Executive members at Costco get a 2% reward worth up to $500 on all items bought at the store. In addition, they also get rewards such as discount vouchers, loans for home mortgages or automobiles, and discounts in entertainment events and travel packages. Sam's Club, for its part, offers its Business Members what it calls Gold Key Shopping Hours which features extended times and exclusive offers. 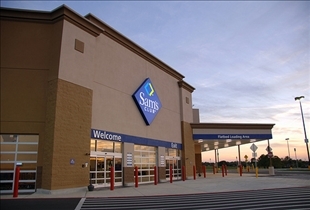 Sam's Club offers "Click-and-Pull" shopping, which essentially allows you to do all your shopping online and simply pick up your merchandise at your chosen store. Which super store has the best values? Costco workers have such bad attitudes not friendly at all. As for sams club top notch ...except one experience I had at the jewlry case . One of the workers there had a very nasty attitude . she seem not to want,to way on,me,like I was wasting time. Thats unacceptable. The main reason I choose Costco is the health and quality of the items they offer. Low fat, fresh, low sugar items are often highlighted and always sold, which is how I choose to buy.